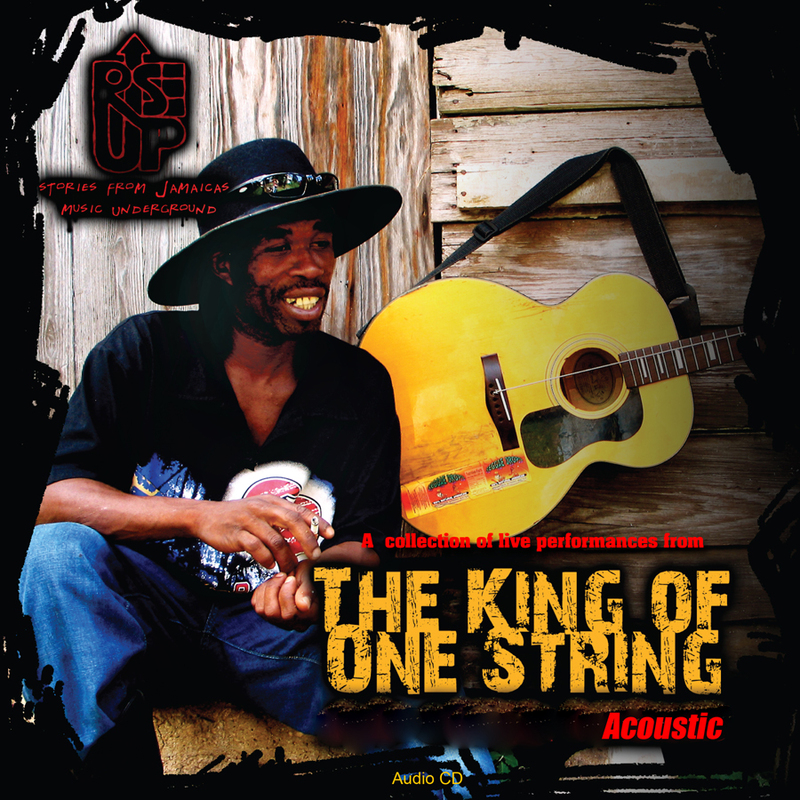 At the occasion of BRUSHY's acoustic album release, United Reggae and RiseUp Entertainment offer you to watch the short documentary The King Of One String. From the creators of RiseUp comes The King of One String, the story of Jamaican living legend, Andrew Chin, AKA "Brushy One String". Filled with contagious musical performances by the artist, The King of One String follows Brushy from the dangerous streets, back alleys and crowded streets of Jamaica, as he demonstrates the raw power of hope and courage in a land where he is revered by both young and old. Brushy soothes the souls and rough hearts with a bright smile and one string. The screening took place from Sept. 9th to Oct. 9th, 2011 and is now over. You can watch the trailer below or get the DVD, here. Released on August 23 for digital download. To enter our competition, you have to like, tweet or click Google +1. Once you've done one of these, you will be asked for your email address (the 5 winners will be contacted by email). Andrew Chin a.k.a. Brushy One String is the son of the late great Freddie McKay, one of Jamaica's most renowned artists. Like his father, Brushy has reached the hearts of many through the power of original song, fascinating audiences since he was a child with only ONE GUITAR STRING! Established in Jamaica where he is revered by both young and old, financial success and professional management have eluded Brushy. With a soulful voice and infectious guitar melodies, Brushy‚ 'soothes souls and rough hearts' as he continues to perform in Jamaica without a record of his own to sell. This talented and endearing artist was featured in the award-winning documentary RiseUp, directed by Luciano Blotta. Blotta has been exploring the underground music scene in Jamaica for over eight years, and in that time has become a close friend to Brushy One String. Due to an overwhelming amount of enthusiasm and encouragement from fans, RiseUp Entertainment is now seeking to share Brushy's music with a wider audience, seeking to record the King of One String studio album in NYC this year. You can get a taste of what's coming by listening to the first studio single, "Destiny", a riveting track already included on the acoustic release! Our winners will be announced on 15 september via email!